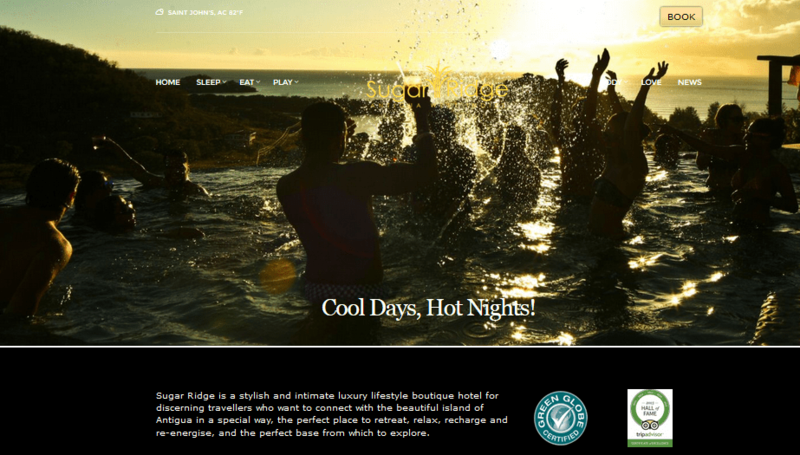 The re-design of the Sugar Ridge Website has been a very collaborative project with the client. Clear branding principles, along with a review of how the hotel is marketing digitally are all part of the project. We are able to offer full digital marketing consultation and can take on management, or train your in house staff to deliver. To review the full site visit www.sugarridgeantigua.com.